Conveniently located and easily accessed by turning right on Main St. off of the Main Street exit of the Southwest Freeway. Museum District Texas State Optical is open 6 days a week. Call us to make an appointment with our eye doctors to talk about your medical or therapeutic eye care, eyeglasses, contact lenses or specialty lens needs. Dr. Angela Marcaccio and Dr. Linda Matocha encourage you to stop by our optical boutique at any time to browse through our large selection of designer eyeglass frames or sunglasses. 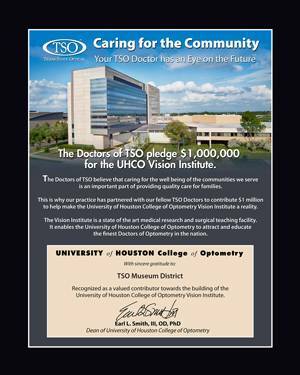 Welcome to Texas State Optical in Houston’s Museum District. 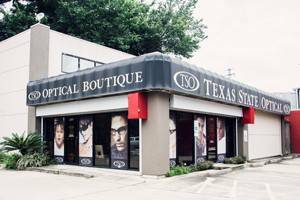 The leading TSO optical boutique in Houston TX. Contact our eye care staff to book or request an appointment by filling out one of the forms below. Please feel free to e-mail one of our eye doctors with your questions or concerns. We look forward to hearing from you. We’re always working hard to improve our services, we hope you will take a few moments to fill out our brief customer satisfaction survey. We believe that providing quality eye care to our patients is a two-way street, so please let us know where we can make improvements or what kind of services you would like to see in the future. If you are a new patient or returning patient, we encourage you to print and fill out the appropriate forms below before you arrive at our TSO office for your appointment. This should decrease your waiting time and speed up the process of obtaining important information for your eye care records. Simply click on the link for each document and bring the completed forms to the office on the day of your visit.